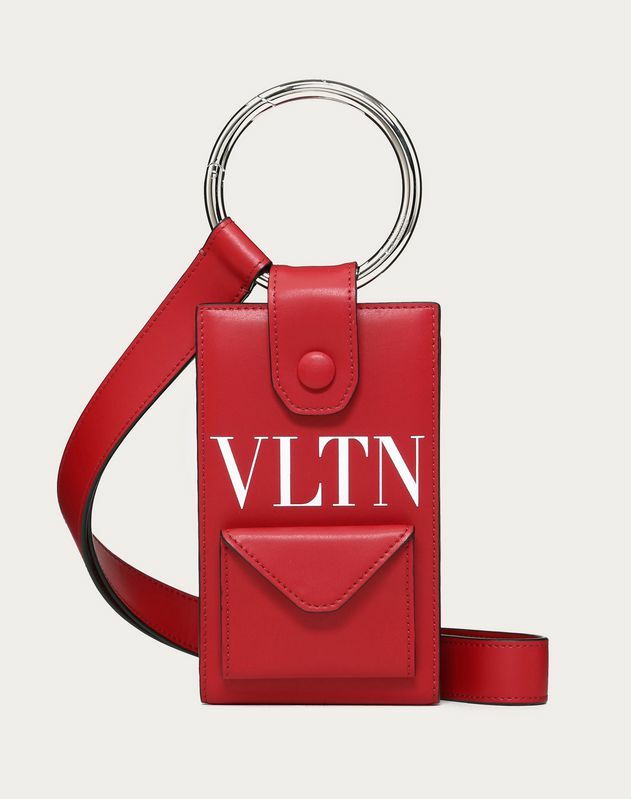 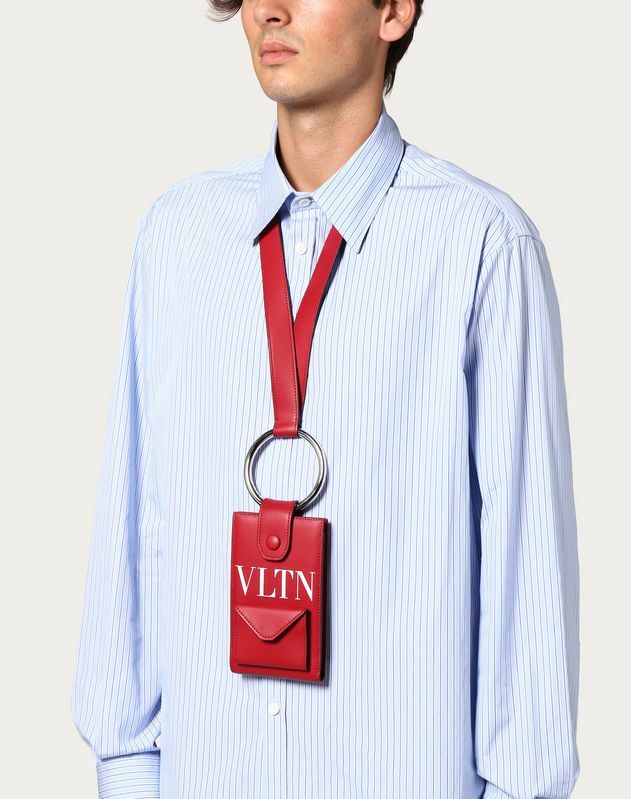 Valentino Garavani VLTN calfskin leather phone case with neck strap. 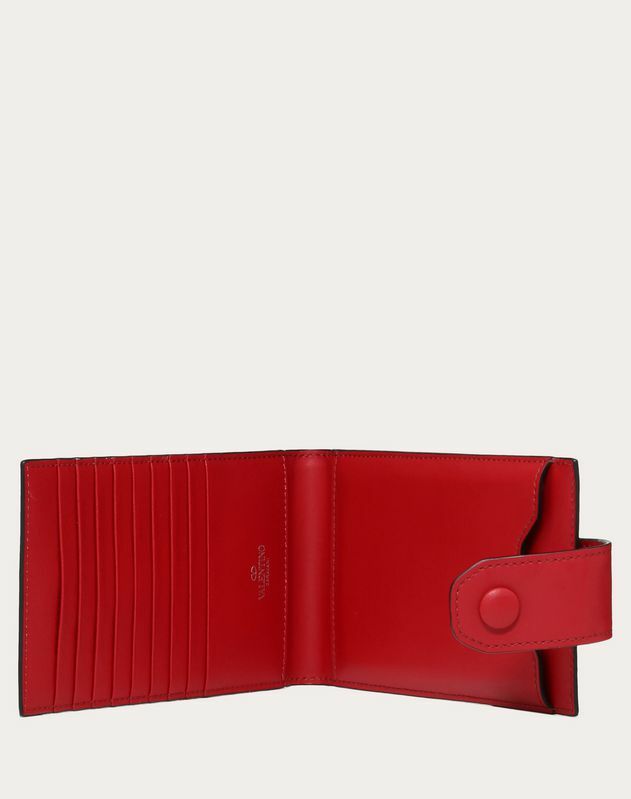 - Dimensions: W10 x H18.5 cm / W3.9 x H7.3 in. 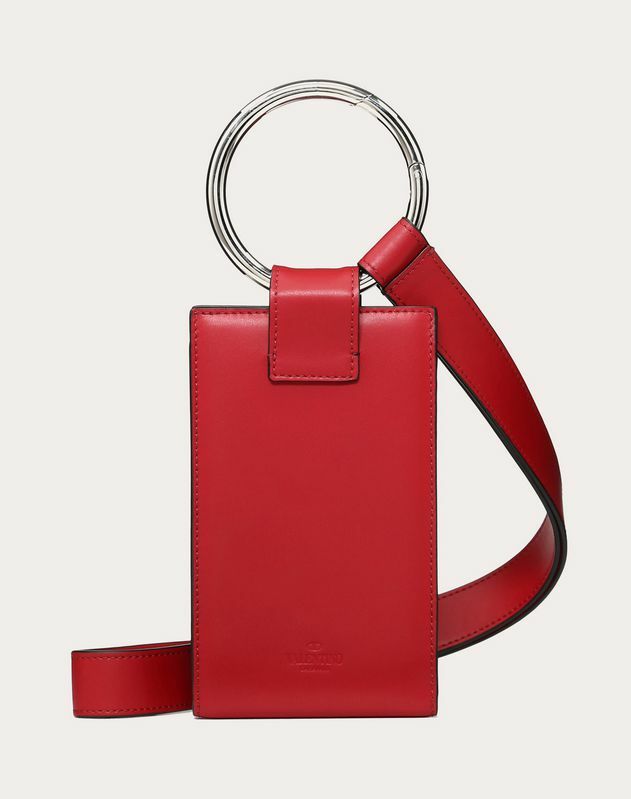 (with snap hook H26.5 cm / H10.4 in.) x D0.5 cm / D0.2 in. - Strap: L42cm / L16.5 in.